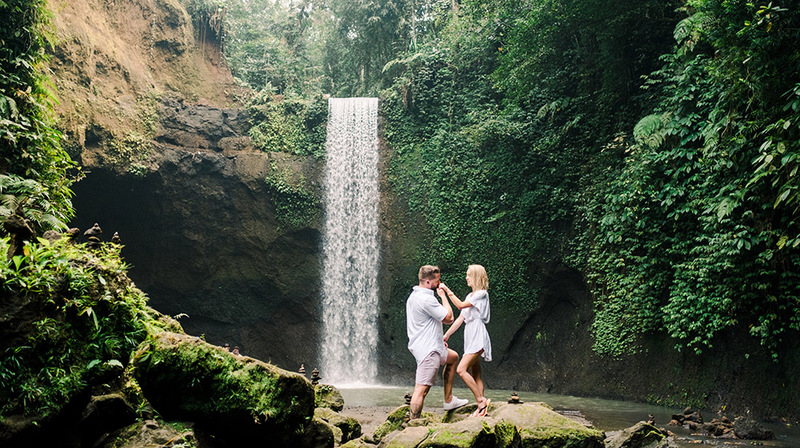 Tibumana Waterfall Bali surprise proposal of Daniel and Kelsey. 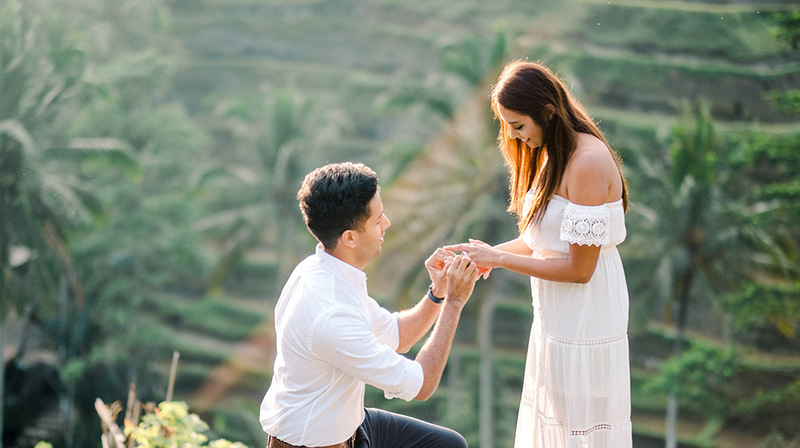 “When I met my girlfriend, I asked her what was at the top of her bucket list. 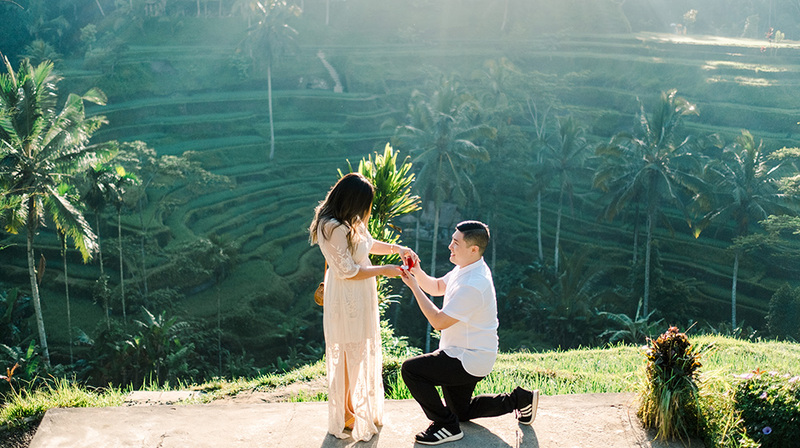 Traveling to Southeast Asia and visiting the islands was her answer without hesitation. Now, a year later, we are going to cross that off of the list and I am going to make this the best trip ever for her. I want to savor the moments with your photography. 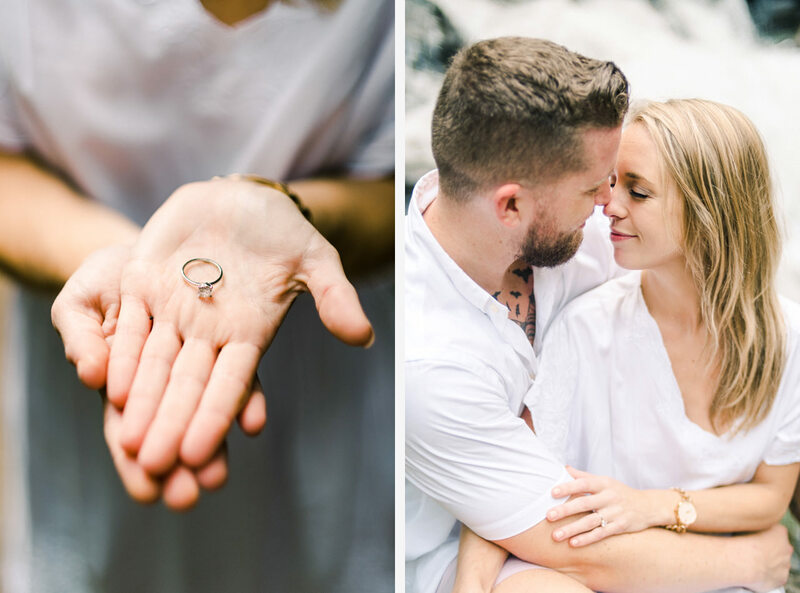 We are a super fun, energetic couple and the shoot would most like result in fun photos that are contagious to the viewer.” Daniel. 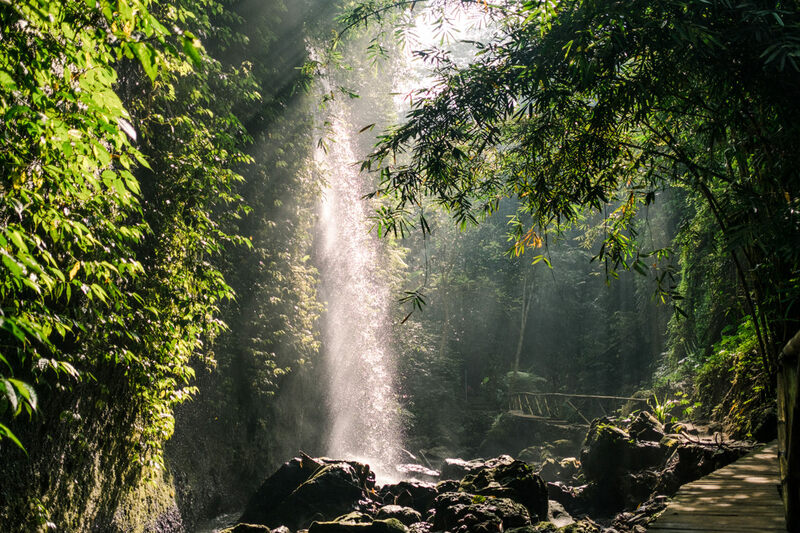 Tibumana waterfall is beautiful hidden waterfall located in Apuan village, around 15 kilometres east of Ubud. From the car park near the Pura Dalem, where an entry booth charges 10,000 rupiah, a cement path leads on an enjoyable short trek down to the river peppered with flowers, bamboo groves, birds and butterflies. The path splits—take the path to the left to the waterfall. First you will pass a smallish jungle cascade falling through creepers and vines to a shallow pool. 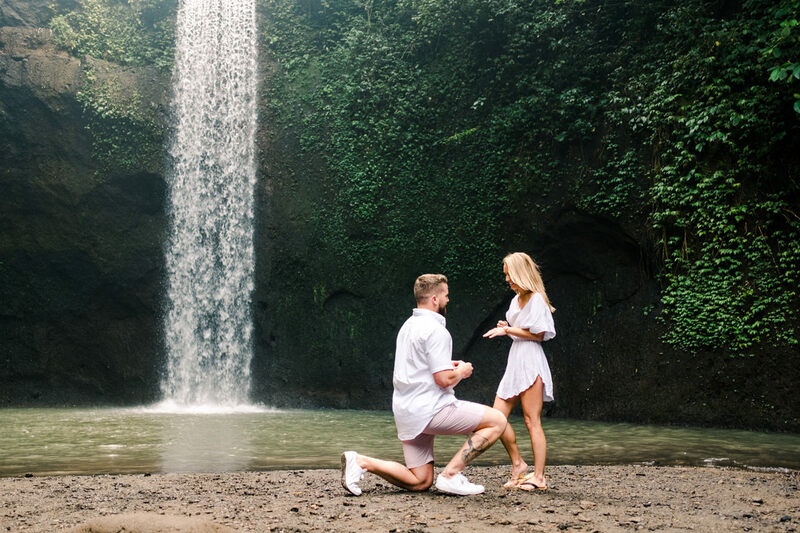 We decide to do the surprise proposal here to avoid any crowd as most of the waterfall in Bali are overcrowd. Luckily when we arrive there early in the morning, the location is empty. 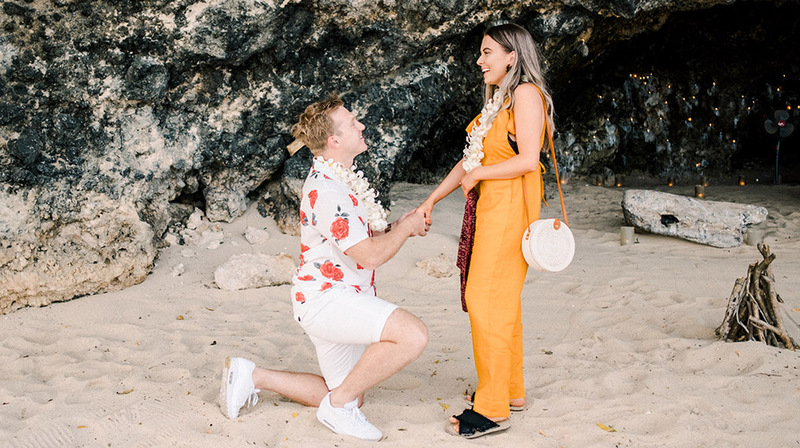 Hidden deep in the jungle in South Asia, once of Kelsey’s dream place she say ‘YES’. 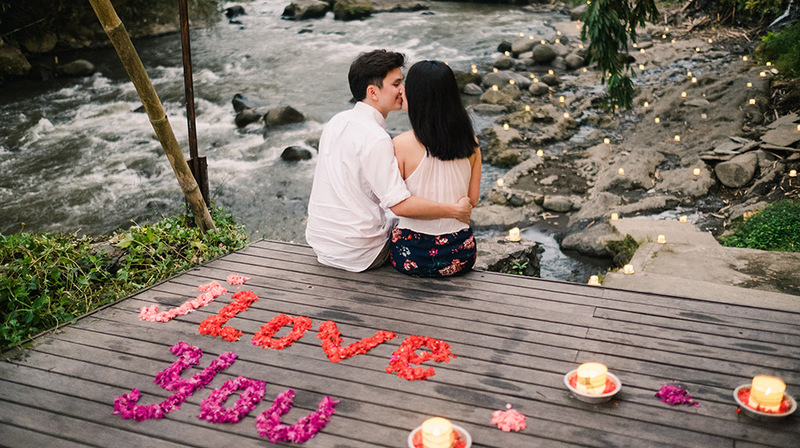 Congratulations for your Tibumana waterfall Bali surprise proposal! 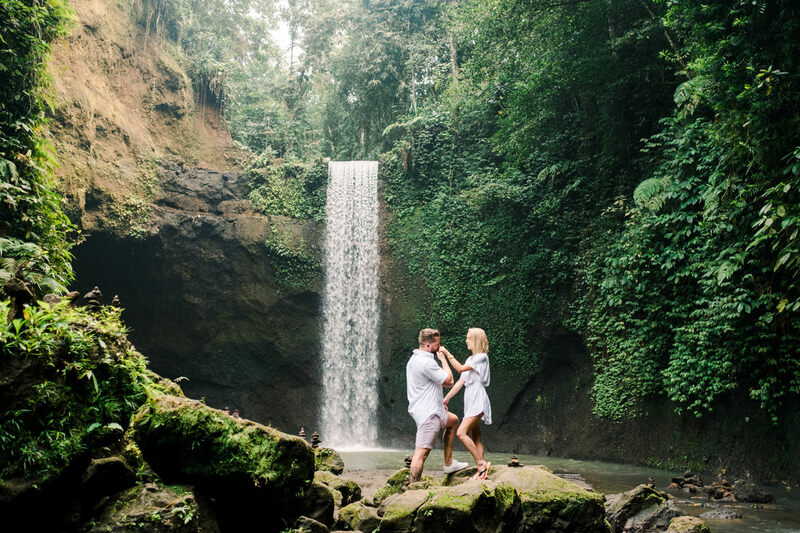 “I recently utilized Gusmank’s photography services for Tibumana waterfall Bali surprise proposal and was blown away by the photos I received. The professionalism and communication exceeded my expectations. 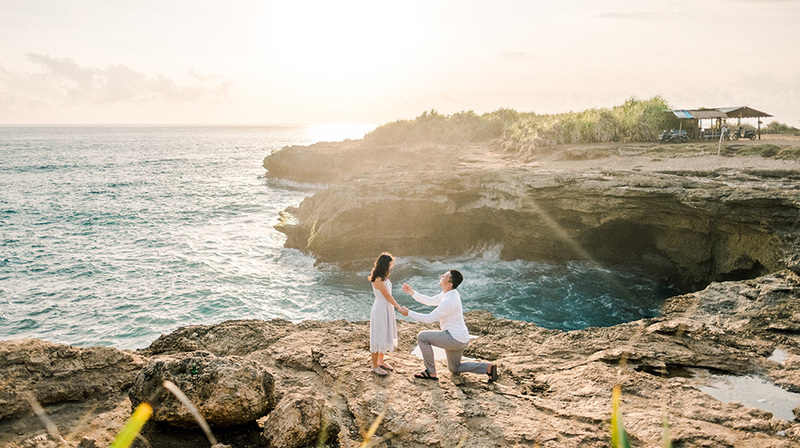 I reached out to Gusmank from the US, requesting his help with setting up a surprise proposal photo shoot in Bali. 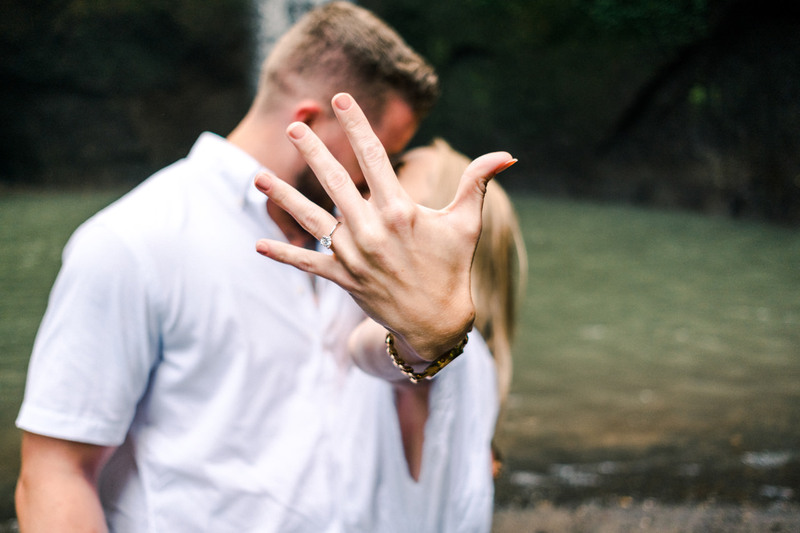 I was unsure of the location I wanted to propose and with his help, I was able to pick the perfect location. Gusmank provided me inside tips on things I would have never known about certain locations (such as when the rice fields would be harvested and areas that were no longer kept clean). He also advised of the best time to arrive at each location so we could capture the most magical photos. On the day of he shoot, gusmank had arrived early to meet us and take us to the location. Throughout the photo shoot he was super friendly and made us feel comfortable. He was constantly looking for the best angles and improvising based on the lighting situations.